Now that it's December & almost the end of 2012, one looks around & wonders.... where has the year gone?! Life has continued to swiftly move forward while I'm still struggling to keep up. What money I did have is dwindling away faster then cookies & egg nog go through Santa! I have been applying for jobs for some time now. I've submitted resumes for everything from culinary to clerical, all to no avail. See I'm still dealing with all of the after shocks from the accident & unfortunately it's all been working against me...BUT that's a totally different story for a different day. Since early October, I've been having dreams of cupcakes. Yes....still! Each time I mention my dreams to others, I'm told how great of an idea it is. People actually seem to get generally excited & ask a lot of different questions. I've also read up on dreams & their meanings. With re-occurring dreams, "you" should probably pay very close attention to what's being repeated in the dreams, to how you feel when waking up from them, & to how often you have them because it all indicates that it's highly mentally important to you. 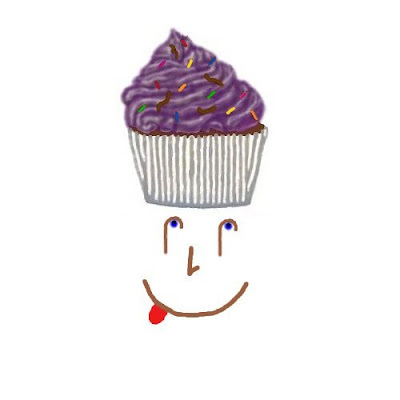 The "cupcakes" side of the dreams has lots of different interpretations, but when breaking the dreams down, the "cupcake" is most likely my mind finding something that I CAN do & would enjoy! Now I've been doing a lot of different research on cupcake businesses & surprising enough...it's actually a pretty good idea. Cupcakes have become more & more popular in replacing cakes for parties, gathering, meetings & even weddings! Food Network even has a show called "Cupcake Wars" which goes to show how many companies are out there. I've also researched local businesses & to my surprise....I'm sitting in THE most PRIME location to be able to service 2 cities with lots of cash-flow & no other competitors in the area. Plus I am only 20 minutes to the business district & amusement hubs. I also have the knowledge not only to make extremely tasty, original & beautifully designed cupcakes but I also have a lot of business knowledge. I worked in some of the largest companies in the US & even the world. I've worked for my father's small company seeing how small business works. I also have had the privilege of getting to know a brilliant man who took a bankrupt company to an empire. Hell, I've even held just about every position between File Clerk to Chef. I was also offered Head Chef jobs for 4 different restaurants in 4 different states from repeat guests who were just amazed at what I was doing. I was even told by numerous management & chefs at the Grand Floridian that I could/should open my own place. I know I have the knowledge to run a great business....I know I have the passion to run a great business....I know what it takes to run a great business....so....I'm going to open my own business!! I've already narrowed my company name down to two choices & I'm working on getting my logo designed. I have filled out some of different paperwork & am working on my business plan so I can get financing. Hopefully early 2013, I will be open for business!